The mysterious death of Osama Bin Laden at the hands of the US Naval SEALs remains a question mark as no concrete evidence of his death has so far been produced and many speculative stories are there on the internet. However, the 'No Easy Day' a book by the Team 6 operative Matt Bissonnette that came out recently, sheds some light on the operation and how did the OBL was spotted, identified and killed. The Business Insider has prepared a slide show consisting of 25 slides based on the book by the Naval Seal and sheds light on the Abbottabad operation. The $ 65,000 NVDs, each Naval SEAL was equipped with, had four tubes instead of the usual two, This allowed them a field of view of 120 degrees instead of just 40 degrees. 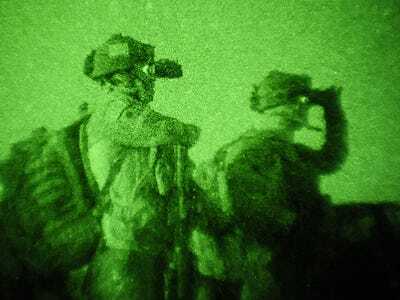 NVG’s allowed the SEALs to clear corners more easily and gave them greater situational awareness.